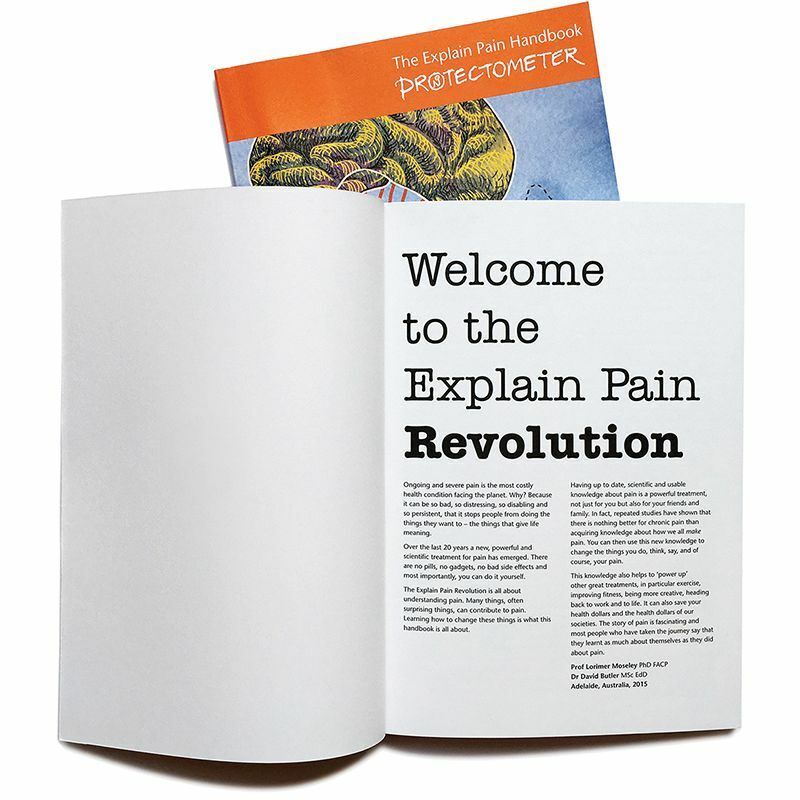 Understand the causes of your pain and develop education and treatment plans using this interactive handbook. 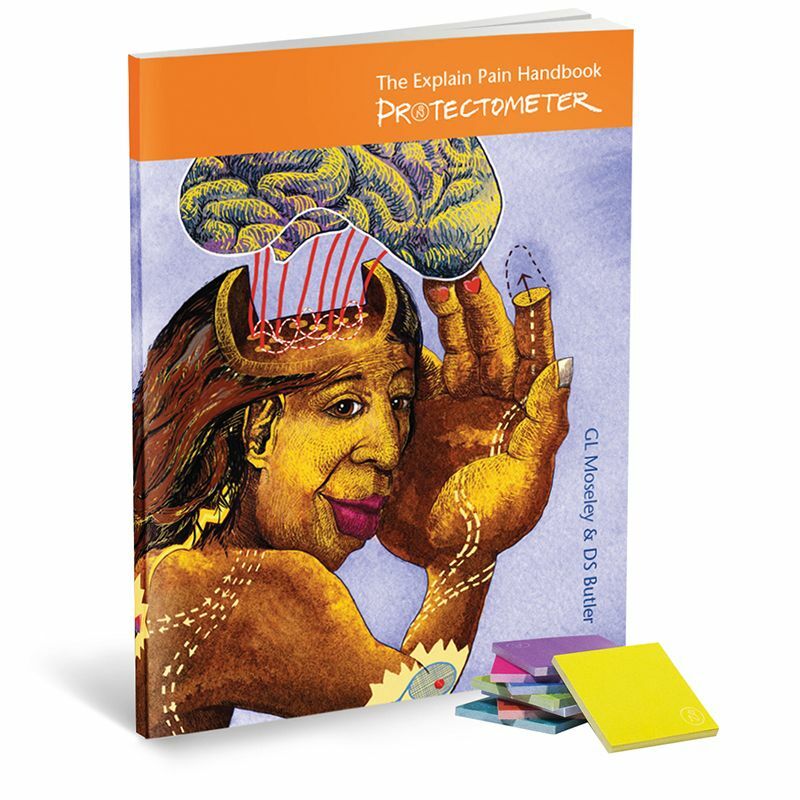 The centrepiece of the handbook – the Protectometer™ – is an interactive device that allows patients and therapists to gain a deeper understanding of the experience and establish an individualized treatment and education plan. 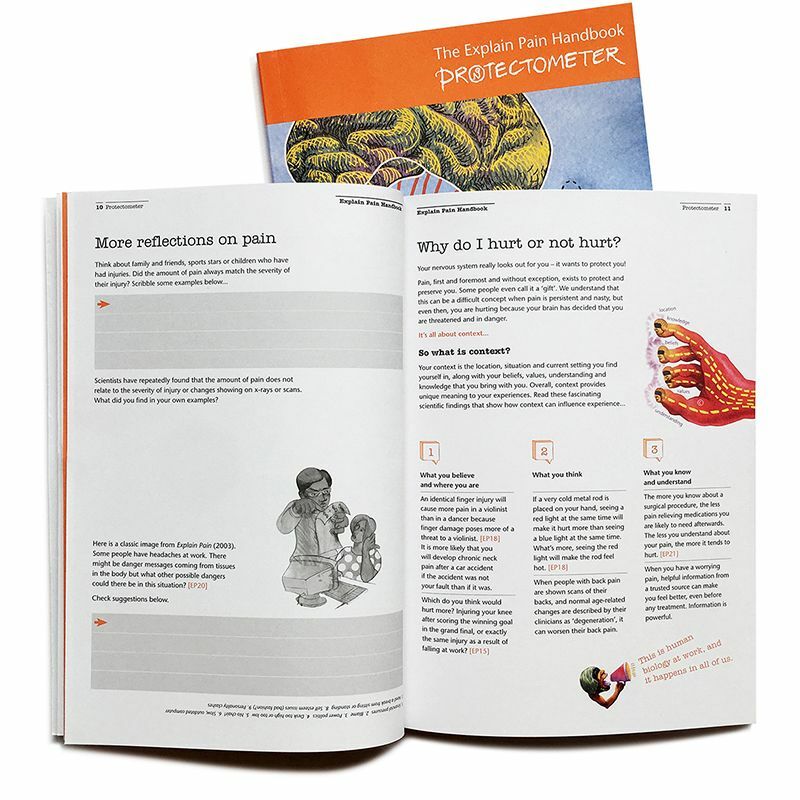 Includes two fold-outs and a pack of Protectonotes™.